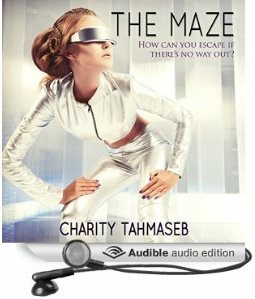 The Maze: Now in audio! The Maze: Three Tales of the Future is now available in audio format via Audible, and you can download the audio book from Amazon, Audible, and iTunes. The same narrator who performed The Fine Art of Keeping Quiet also narrated these stories. I think she did a fantastic job. She had a knack for knowing exactly how I wanted something read or where the emphasis in certain sentences should be. In short: she was amazing. Previous postThe Fine Art of Keeping Quiet: Now in audio!